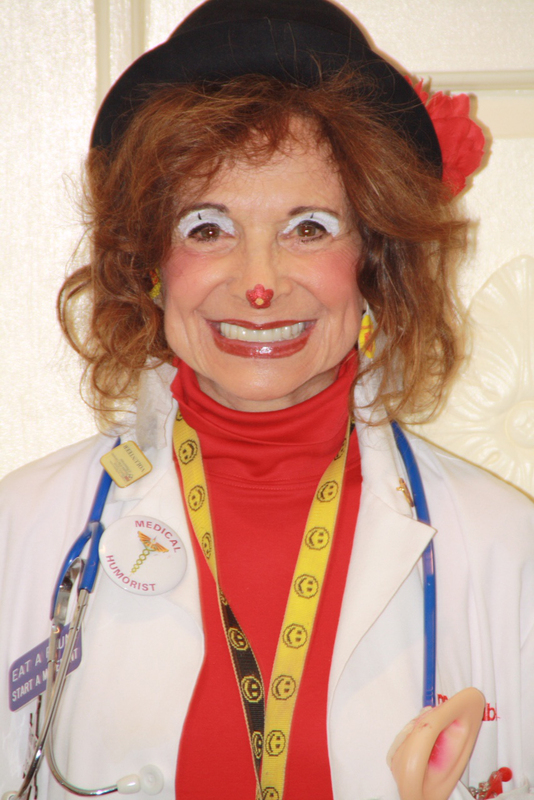 Gushner currently serves as President of The Bumper T Caring Clowns, Inc., a nonprofit dedicated to making a positive difference in the lives of hospitalized patients, their families, friends, and caregivers. Gushner is one of the founders of the organization; as DR CurlyBubbe, she volunteers at The Hospital of the University of Pennsylvania and Lankenau Medical Center. Previously, she served as a founder and past president of The Ruth Newman Shapiro Cancer and Memorial Fund in Atlantic County, NJ, a major fundraising nonprofit dedicated to supporting hospitals in that region. Additionally, she had the distinction of becoming the first female president of the Federation of Jewish Charities in Atlantic County. According to Gushner, hospital caring clowning is serious business. As DR CurlyBubbe, Smileologist, she makes her merry-go-rounds at HUP and Lankenau, leaving a trail of Smiley face stickers in her wake. By lightening up the hospital environment, she has the opportunity to offer humor, hope, and healing¾magic moments that offer infinite rewards to both the patient and the caring clowns.